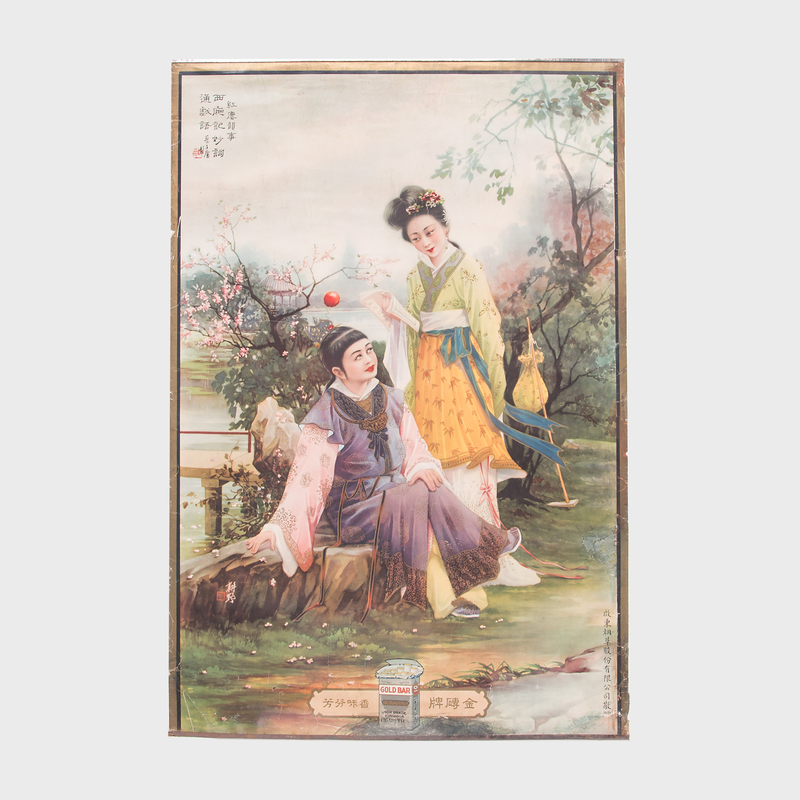 This poster, a advertisement calendar for Excel Cigarettes from the 1930s, melds the meticulous detail of traditional Chinese painting with the craft of color lithography. 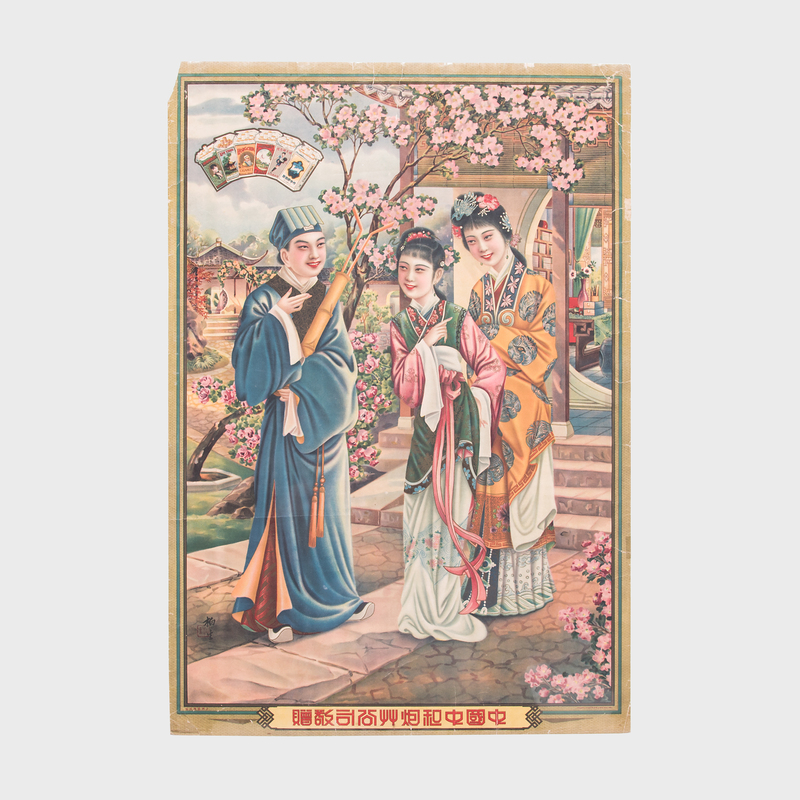 This advertisement depicts a fashionable woman in traditional Chinese dress posing in a garden setting and framed by an Art Deco border. 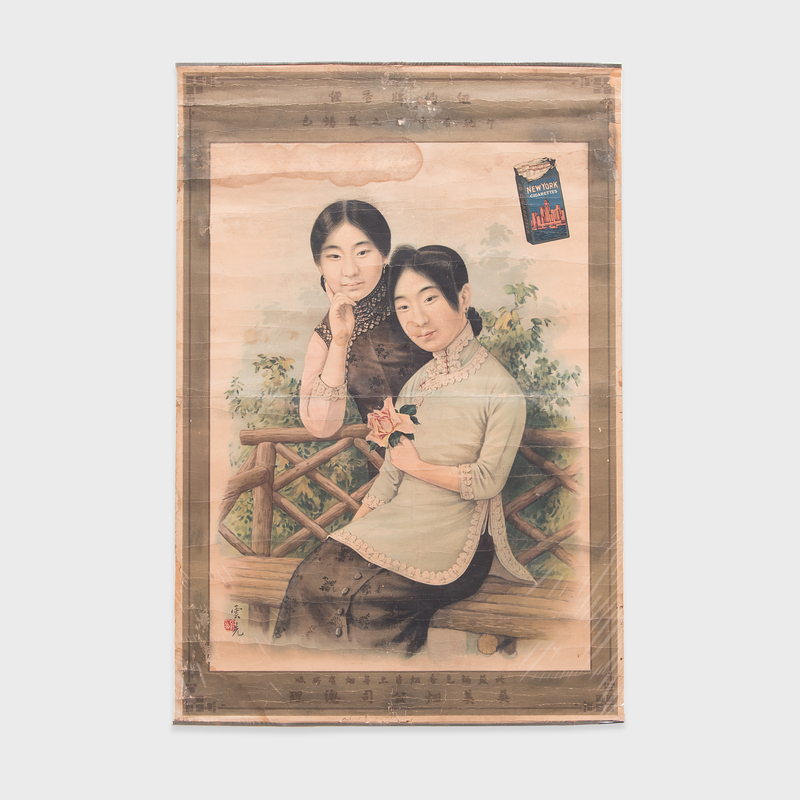 Packages of cigarettes are displayed in the the lower corners. 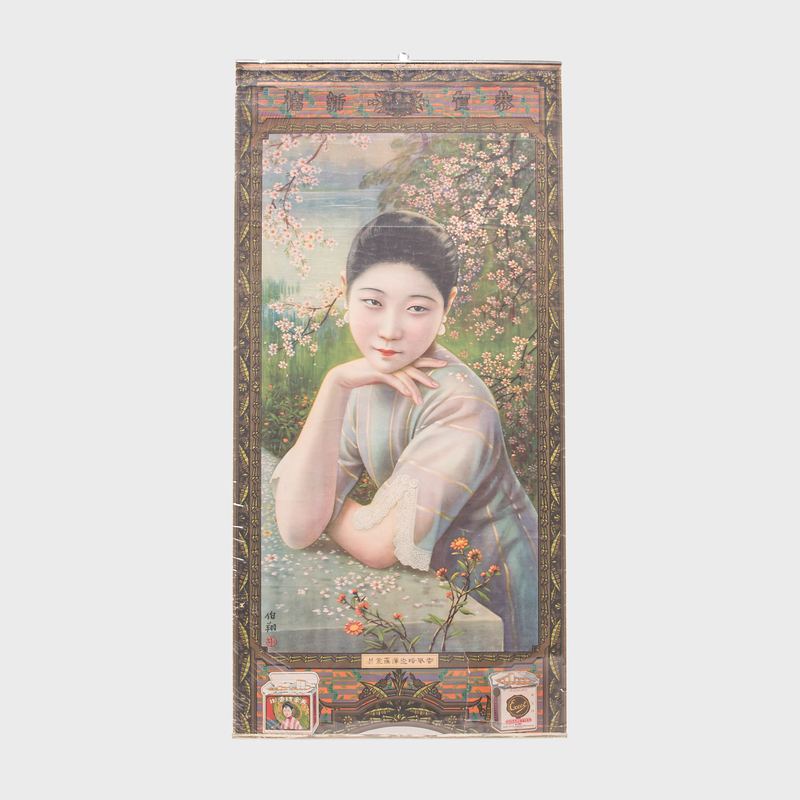 The poster reflects the rise of Western-style advertising during the economic boom of early 20th century Shanghai, where the Art Deco movement brought from Europe greatly influenced local fashion, art and architecture. 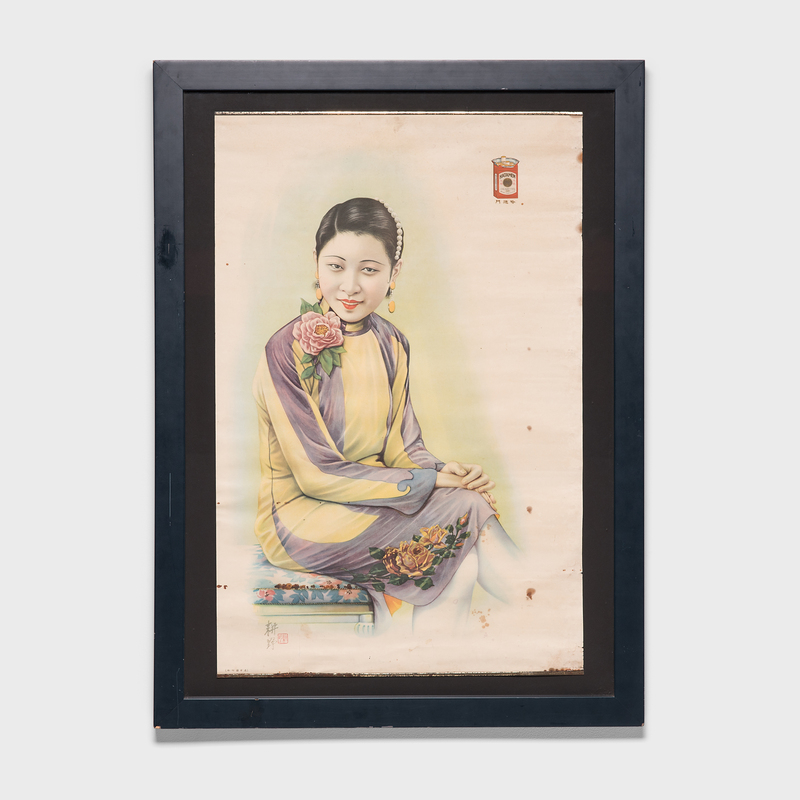 Today, this type of poster is prized by collectors and preserved in museum collections both for its artistry and for the unique glimpse it gives of the past.